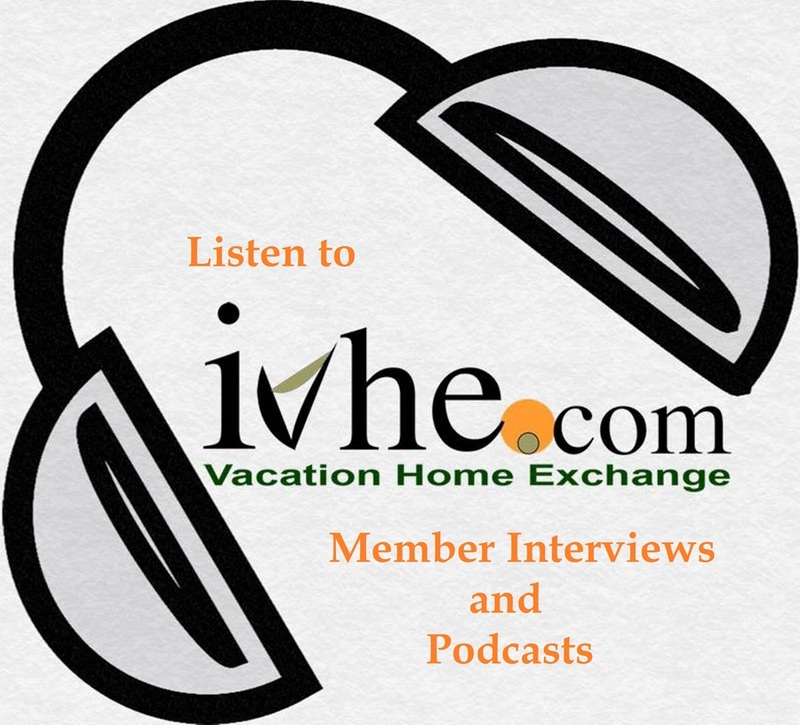 Welcome to IVHE- International Vacation Home Exchange. We are a friendly team of professionals who care passionately about making your home exchange experience the best possible, keen to enable our members to travel the world in comfort and style while saving thousands of dollars/ pounds. Established in 2003, IVHE-International Vacation Home Exchange, is a well respected global company with an enviable reputation for professionalism, integrity and high quality service. Our mission is to keep our services simple and our members happy. Enjoy our members' testimonials. Although predominantly an online business, we totally understand that in an age of electronic information overload and internet home exchange advertising portals, many people appreciate a more conventional approach to customer service. No problem. IVHE offers members a one-to-one customer service as well as the option of using our sophisticated online search, trade/exchange requests and information portals. The choice is yours. We love to hear from you. We want to guide our members to the 'very best of home exchange & trading experience.' If something goes right or wrong, we need to know! We offer a personal service to all members, by getting involved in arranging your trade/exchange both before and after. Do Direct Swaps OR Credit Trades. Our credit/points system means that you do NOT have to arrange a simultaneous home exchange with another member, giving you greater flexibility with your holiday plans. Non-simultaneous home exchange: The timing of your holiday is not guided by anyone else's schedule. You may want a one-week stay while another member may want a two-week stay at your property. International Vacation Home Exchange makes this possible. Lots of different choices: Your property can be exchanged with any type or size of property using our credits/points system. You do not have to exchange on a like-for-like basis, giving you greater flexibility and more interesting choices. This means, as an example, you can trade your exclusive 5 bedroom Caribbean paradise for a smaller 2 bedroom luxury apartment in London while still having remaining credits to use on another vacation. Home exchange in lots of locations: You can stay anywhere in the world, with our online home swap system. You are not limited with an exchange to a place you do not want to go to or have visited already. Different seasons: There are choices all over the world. The seasons vary in different parts of the world. Whether you're seeking sun or snow, the world is your playground, year-round! Expectations: As you do not need to exchange properties on a like-for-like basis, this helps to remove the obvious comparisons that may be made between homes. Try something new! We are aware our fees are different to the conventional home exchange listing sites but then so are our services. We want to offer something different, combining Internet technology with a personal service giving our members the best possible home exchange experience. We send requests for members to leave feedback after a trade. These are sent to both the host and guest. Comments are posted in the members area, available for other members to review. We search for the right properties for you, high quality in both well-travelled, exotic areas. We are not looking for thousands of listings in locations where people do not want to travel. International Vacation Home Exchange will not suit everyone. We are looking for quality and quantity, but not volume. Your details are safe with us. We will keep a database of our members and their credit accounts, IVHE website is protected by McAfee and we will never share any personal information with third parties. , We will keep the website up-to-date with as much information as possible to make your search easy and fulfilling. We aim to respond to e-mails or phone enquiries in less than 24 hours, and would like members to do the same where possible. We are happy to make phone enquiries. If we do not have a member in the location you would like to visit, let us know and we will put every effort into finding a new property owner in that area. We will send reminders to leave feedback after a trade to both host and guest after an exchange, and will keep records of these. This will be available to other members. Although we cannot take responsibility for things going wrong, we will take any complaints very seriously and investigate as thoroughly as possible. Any members that have given false or misleading information about their property could end up losing credits and their membership. All members agree to be responsible for any damage that might incur during their stay in a property, and any member failing to honour this commitment in a manner satisfactory to all concerned will lose their membership. Members will need to agree to our Terms and Conditions, which covers all of the requirements above. We expect high integrity and honesty, as misleading information will come out in the feedback forms. We hope the above has answered most of your questions, if you have any that we haven't covered please e-mail us or fill in our online form. What an outstanding property with an incomparable view! We requested the property and with great assistance from IVHE team and members, were able with a few clarifications to get the trade accepted. IVHE staff were their usual professional selves with that bit of personal touch thrown in !! Our exchanges so far have been excellent & we would highly recommend IVHE for an excellent experience in home exchange. The stay at Linda's Villa # 0971 was amazing. The whole trip was fantastic, and working with IVHE was once again seamless on what must be our 7th or 8th IVHE holiday in the last 4 years. Our experience with your IVHE coordinating team was outstanding, with a lot of extra detail supplied about the trip, which made our decision to go and what to take with, so much easier. As always the support and efforts from IVHE were great! Dealing with the owner and her support people on the Island was very easy and a pleasure at all times. We would like to thank them all for a Wonderful experience and a great way to start our summer vacation. The IVHE trade co-ordinating team could not have been more helpful, in fact my experience with all IVHE staff has been very positive - they really look after you! The owners I have met through IVHE.com are really so cool compared to some I have met in the other trade organizations - you all should get kudos for that-seriously! We spent a wonderful week in Tansy Cottage and highly recommend it. Furnished to the highest standards, excellent beds and superb bathrooms, we recommend it to others who want base to explore this beautiful corner of West Wales. The stunning location is peaceful and returning home to a log fire was a real joy. We are back home from our trip to Argentina. We had a wonderful time!! Our stay at the IVHE.com home exchange in the Uco Valley in Mendoza was super. We thoroughly enjoyed our stay in the lovely Grande View Historic Hotel. Everything was perfect from the warm welcome, the spacious and tastefully furnished bedroom, and the huge and luxurious bathroom. Thank you to IVHE for the smooth arrangement of this exchange! We stayed at this fantastic apartment and couldn't have been more pleased with the location and accessibility to everything that we were interested in seeing. Easy walk to the Times Square area, theaters, restaurants and Central Park. Our week in Florida was a great vacation. Mitch has a wonderful mansion and a warm welcome. Thank you for this nice way to experiment Florida way of life. We had an absolutely perfect week in one of Anne Davey's beautiful cottages. Our only regret was that we had not been able to stay longer. We enjoyed our Vegas trip. The condo that was executively decorated and furnished with high end appliances. The location is excellent just off the center of the strip and the Signature resort is excellent. We just returned from a fabulous week from an IVHE Trade-exchange in San Siro, Italy which is on Lake Como. I would like to all the team at IVHE for the always promt and very helpful response to any exchanges. I have always had the most enjoyable stays in the exchange accommodations and the team at IVHE have always been so helpful. I look forward to exchanging many more trades in the coming years. Visit to #0769: St. Maarten- We had a wonderful time. The property is exactly like the pictures. Overall an excellent experience! A luxurious and supremely comfortable apartment, The apartment is a real "home" and we felt privileged and grateful to be able to use it as our base for exploring Puerto Vallarta. Thanks so much for allowing us to share your beautiful home! My brother got married during our IVHE home exchange stay so it felt very magical. We still talk about how much we loved this stay and it is a favorite. Exchange to #0521: New Zealand, Queenstown. The property was exactly as described and provided one of the highlights of our holiday. The Venice apartment is very nice and in an interesting neighbourhood (old Jewish Quarter). Thanks to the IVHE who made our stay possible and work very smoothly! We stayed at Syon House Boutique Hotel in June and we loved it so much we stayed for another night. We wished it could have been longer! Claire was a wonderful host and made us feel so welcome, giving us lots of helpful tips on where to visit. We had a wonderful time in St Martin! An amazing property! WOW- Thank you again for another great holiday! Our trip to Marco Island, Florida exceeded our expectations! We would love to return someday, and recommend this property to anyone - the town itself is delightful, and the house is well-located to enjoy all Marco Island has to offer. Being a member of IVHE has really changed the way we travel. We have saved a lot of money and stayed in great locations, in high quality homes. The IVHE system is so much bettter than a simultaneous exchange as you can travel whenever you want. Communication with IVHE is excellent, always prompt and personal. I highly recommend travelling this way! IVHE is a wonderful way to experience the world from the vantage point of someone's own home. Dealing with IVHE has been stress-free, professional and very efficient. I highly recommend Suzie and her organization. We enjoy IVHE being a member's club and have met more like minded owners. Not to forget the very real financial advantage that swaps have gained us. Being able to leverage the rental value of our house in this way is decidedly to our benefit. It was my first trade request with IVHE club and I was very impressed how simple and stress-free was the booking. It felt like we were visiting friends. We can highly recommend the personal service offered by IVHE - it is a cut above the services offered by other home exchange organisations. We were very reassured by the fact that Suzie Magnus had obviously spoken extensively to so many of the members on the website, so that she had gained an idea of each person's needs and offerings. It was great to have had the opportunity of a good conversation with IVHE with first hand knowledge of the area, full of helpful advice about the town, the expected climate conditions for the time of year, etc.. This helped us greatly in deciding which of the IVHE villas to go for. Four IVHE exchanges. All way way beyond our expectations, absolutely gorgeous. Great locations, lovely units and the credits were extremely reasonable so I couldn't be more pleased, and I have been a house exchanger for twenty five years! First exchange with IVHE location was very convenient, we could walk or take the city bus anywhere in Auckland. Cottage was well furnished and comfortable. Highly recommend this exchange programme to others. Had very good service, the people are very responsive when you have questions. Have exchanged twice now. Beautiful property, owners were very accommodating, let us know all the restaurant and all the things you could do. I have also exchanged my property a couple of time with no problems. Been a very good experience with IVHE. The beauty of IVHE is that trades do not need to be simultaneous. Offer your home and 'bank' points to use later, use other homes and have yours available at a different time. I found Suzie to be highly professional, communicative, providing the highest caliber of service while maintaining a warm,'personal' touch. I highly recommend this service. IVHE, is the most rewarding and innovative organisation for anyone, around the globe, that own's a second property and loves to travel the world. Believe me, you'll love it - www.ivhe.com! Suze and her team will go the extra mile to find the right vacation exchange for you. At every stage they were on hand with any questions I had. The properties we have traded for holiday have all been superb. Using your own vacation rental property to go on fantastic vacations elsewhere is really a ‘no brainer’. Home exchanging has become very popular but it is yet to spread to the vacation rental and hotel market. One of the comments I hear often form people with vacation homes, ‘I need to use it to make it worthwhile’, with home swapping you travel Guilt free and add spice to your travels! By using your holiday rental property also as a home exchange property, no longer will you feel obliged to always visit your own property. By exchanging you can vary your type of vacation travel- around the world. As an example you could ‘house swap’ your Caribbean beach property for a luxury house exchange in London. Not all exchanges need to me on the other side of the world.. Maybe ski someone else's mountain for a change just a few hours away from home. Save Money: Making your vacation rental available for hosting other members means that your property can be used when otherwise it might be standing empty. Add to that the fact that home swaps are the same as having friends & family stay in your property and is not subject to tax giving you extra $$$ in your pocket to spend on your next vacation! Security: We all know a property is better off occupied than sitting empty with hosting a home exchange guest you have the reassurance of having someone stay in your property, using a luxury home swap service provides the peace of mind of professional house exchange contracts, references on your guests and feedback. Like-minded home exchange trade partners: Using a reputable network like IVHE means you will be trading/swapping with other second-property owners who understand your concerns and who will take care of your property as if it were their own. find out how you too can love home swaps and trades with IVHE. * Kitchen: There is no need to clear out all cupboards, in fact it is very nice and useful for your guests if there are some basics (eg flour, oil, dried herbs) in the kitchen for your home exchange guest to use. Essentials should be included whenever possible, as you know from your own travels arriving somewhere with nothing in the cupboards is a bit of a pain, having to buy a big bag of sugar for a couple of cups of coffee etc. So for a cheap price but a very nice thing to do is have the basics there, sugar, salt, pepper, coffee, tea etc. Remove or simply leave a note about items that you do not wish to be used, best would be if you put them on a separate shelf, leaving at least 1 shelf for your guests own supplies, similarly items you leave in the fridge, please move them to a top shelf if you do not want them used and leave a note saying so. Do have look though the use by dates and though out any that have passed their prime. It is nice for your home swap guests to have a bit of space in a cupboard and fridge for their own food supplies. There is a general courtesy code of ‘replace what you use’ this does not mean going out to by the kilo of sugar to replace the few spoonfuls you have used, but if you have used a selection of things or a fair amount of something like olive oil, leave something for it, this may be the bottle of oil or a packet of coffee. A welcome pack is always very welcome or if possible ask your guest if there is a small shopping list that you can arrange for them, particularly well received by guest travelling long distances, arriving late in the evening and from different time zones, a welcome pack could include; milk, bread, orange juice, eggs, butter. Once you have exchanged Agreements and both you and your exchange partner are ready, there are several ways to help make your home swap/trade as successful as possible. As you know how tricky it can be trying to find your way around a home the first time you visit, here are a few tips to make the home go smoothly when exchanging your main home or non-rental vacation property. First step- Communicate! With today’s high speed internet, email and Skype, you can build a relationship with your home exchange partner well before the exchange or trade takes place. Communicating is important whether you are doing a direct swap or a trade, or if you will have the opportunity or not to meet in person. Ensure your guests know all the important details such as directions to your property, how is access and keys arranged and maybe a friendly local who can be on hand to answer any questions that might come up..
Making your guests feel welcome and at home: Little touches such as a milk left in the fridge or a bunch of flowers will be much appreciated by your guests especially if they are arriving from a further afield. Of course this is not always possible, if it is a vacation property and the host has not just been there. Equally a little thank you note or small gesture from the guest would also be very welcome. Leave instructions: It can be a challenge to work out how to use other people's electrical appliances, especially in a foreign country! Be prepared: Accidents can happen, it is sensible to put away breakable valuables or items with sentimental value so they cannot be accidentally knocked over. Home exchanging is a fantastic way to save huge amount of money and to become immersed in other cultures and explore new corners of the world. It really is very easy!